Is Inventory Management one of the back waters of your business? Are you struggling to keep your Inventory & Warehouse Management under control? Do you have your Inventory & Warehouse Management under control? Logistics Bureau’s consultants are here to help! One the fastest ways to reduce end to end Supply Chain costs, is to get your inventory (stock) under better control. Too much working capital invested in inventory. Too much slow moving or obsolete inventory. Customer service failures and back orders due to lack of the correct inventory. Warehouses crammed to the rafters… with the wrong inventory. Lots of inter branch / warehouse transfers to get the right inventory in the right place. If this sounds like your company, the good news is, that inventory control improvements can easily be made without resorting to a large investment in people and inventory management systems. Getting a better handle on your inventory is one of the fastest ways to reduce end to end Supply Chain costs. If you would like help in getting your inventory under control, or just someone to bounce some ideas off, feel free to contact some of our key staff directly, whose details are shown below. One of the laws of supply of goods to a market is that companies hold enough inventory to satisfy customer demand, without holding too much. So intuitively, just the right quantities of inventory to satisfy demand will minimise cost. However, when dealing with thousands of SKU’s the art of balancing demand with supply is intricate. It becomes even more complex when multiple storage facilities are used, and customer service times are short and/or varied according to criticality of products. What are the Cost Elements of Holding Inventory? as a rule of thumb, the faster the inventory turns over, the less it will cost to hold. However inventory turns in some businesses (e.g. spare parts) will be very low (say 1-3 times per annum). Whereas inventory turns in a FMCG business could be as high as 15-20 times per year. Regardless, increasing inventory turns for any business to an optimal level will be beneficial. Theft of goods. Unfortunately this occurs and is a cost to be factored in. Too rigid or a ‘single’ service level approach can cost dearly. For example the ‘Quality’ era maxim of supplying all goods anywhere, anytime, in any quantity can cost companies unduly as they attempt superhuman deliveries to unusual places. Note levels are plural! Companies that offer a single service level encourage margin erosion. Smart organisations profile their stock into three or four service classes to which they apply a specific service strategy. E.g. Class 1 is critical products e.g. medical products, or IT spare parts which must be supplied on a same day or next day basis. Class 2 are goods that are non critical but maybe needed to meet a specific market need e.g. cosmetics, home PCs etc. Typically they can be delivered to a schedule. Class 3 are goods that are needed over a longer time frame which the customer readily accepts e.g. furniture, made to order goods, luxury products etc. A further delineation must be made between retail, wholesale or end user customers. In any case, it pays to start with a good understanding of customer needs before advancing to the next stage. Analyse your inventory and demand history regularly to ensure that you know which items are generating 75% of your sales revenue and to which class of customers they are being delivered to. Then check your services levels and holding costs of the remaining products represented by 25% of sales. An additional exercise to review your warehouse order picking profiles in the same manner will also provide an interesting story. Reviewing, for example, movement by product by tonne, pallet, carton, each etc can lend amazing insight to operational issues and dynamics. With both of these analyses, Managers can detect issues and formulate strategy without too much difficulty. Some companies involved in manufacturing, integration or assembly rely on vendors to manage their own inventory until they are used at the production line. Under this arrangement, the manufacturer doesn’t have to carry any inventory, and only pays for inventory when used. 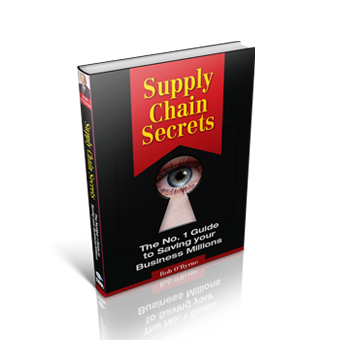 This strategy is generally ideal for manufacturers but can load certain costs upon the vendor. Common to many international manufactures is the strategy of postponing final assembly of goods until demanded in the off shore market where they will be sold. This enables efficient storage of a smaller range of goods while offering a faster response to the designated market. This strategy has been used in the fashion industry with good effect, and also in hi technology industries such as appliances, computers and gaming. With a large number of companies moving manufacturing off shore to Asia, postponement logistics is becoming more fashionable and feasible for small scale production. There is an enormous number of ERP and Warehouse Management Systems on the market which seemingly host and facilitate excellent management of inventory. Alas, often vendors of such and eventual operators do not really understand the science and art of inventory management. This can significantly impair effective use of these systems. It is therefore critical that knowledgeable and skilful practitioners are developed and used to manage inventories. This is a challenging and inexact science and should only be attempted by courageous people who understand the dynamics of inventory management and how to use ERP sales and operations planning tools. Issues of independent, dependent demand materials requirement planning and master production schedules must all be understood to achieve forecasts within agreed parameters.